In this paper we propose and study the behavior of a new hybrid heuristic algorithm for the DNA fragment assembly problem. The DNA fragment assembly is a problem solved in the early phases of the genome project and thus very important, since the other steps depend on its accuracy. This is an NP-hard combinatorial optimization problem which is growing in importance and complexity as more research centers become involved on sequencing new genomes. 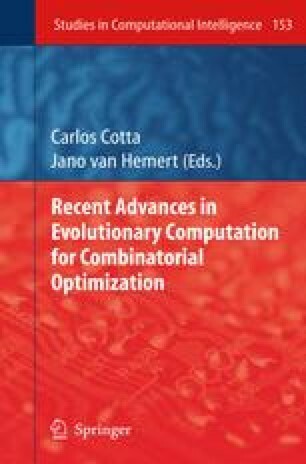 Our contribution is a hybrid method that combines a promising heuristic, PALS, with a well-know metaheuristic, a genetic algorithm, obtaining as result a very efficient assembler that allows to find optimal solutions for large instances of this problem.